Hen Fruit (Eggs) to the Rescue! Host: Lynna… “A Preppers Path” Audio player provided! Did you remember to eat your fruits and vegetables? Truly a positive behavior when it comes to our health. Most of us don’t get nearly enough whole foods including our fruits and vegetables which provide us nutritious and healthful benefits. While hen fruit isn’t actually a fruit or vegetable the benefits of hen fruit are incredible. Perhaps that’s why we hear the slogan the Incredible Edible Egg! Because the hen’s egg is actually Incredible and Edible. 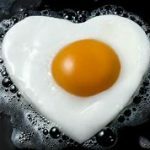 Years ago during the cholesterol hoopla eggs were given a bad wrap and many stopped eating them, doctors and other leading experts advised their followers to shun the egg all in the name of lowering cholesterol. Of course today we have found that the initial cholesterol scare was based on a faulty study and cholesterol was made the scape goat for bad heart health. Listen to this broadcast or download “Hen Fruit (The Egg) to the Rescue” in this player! Today based on science and research we know that the Egg is actually a hero/heroine providing incredible health benefits. 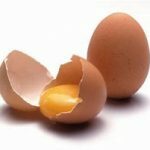 Thing is the egg isn’t just something we eat, the uses for eggs will most likely surprise you. The egg produced by a favorite barnyard fixture the chicken has an awesome array of uses and benefits, eggs just aren’t for eating. Hens don’t need a rooster around to produce these wonderful little powerhouses and can be raised nearly anywhere, countryside, suburb or even the city. Join A Preppers Path in player above as we search out the eggceptional value and benefits of the incredible edible egg, they aren’t just for eating! Previous: Previous post: Off-Grid Dental Care and Emergencies!